perfect pentru prelevarea lichidelor, uleiurilor si a suspensiilor cu usurinta de la inaltime cunoscuta din produs. Utilzare: fluide si lichide chimice, produse alimentare si agroalimentare (miere, uleiuri alimentare, bauturi, etc), suspensii farmaceutice, creme cosmetice, etc.. 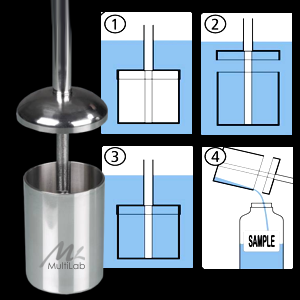 It is possible to carry out point sampling of liquids of varying viscosity with the stainless steel Liquid CupSampler (V4A). 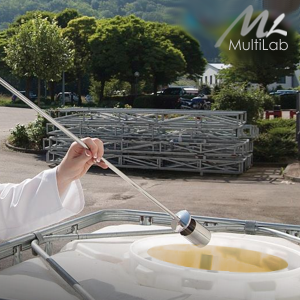 Media-containing particles can also be sampled without difficulty. The sampler can be used in the fields of chemistry, foodstuffs and cosmetics. 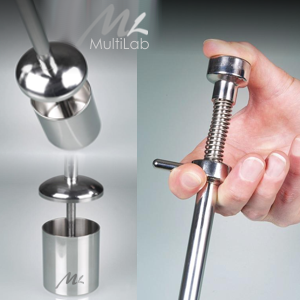 The cup can be unscrewed from the stem, allowing easy cleaning. 1- Place the collector at the desired depth. 2- Open the lid using the handle. The liquid flows in. 3- Close the filled collector and remove it. 4- Empty the sample into the sample bottle.